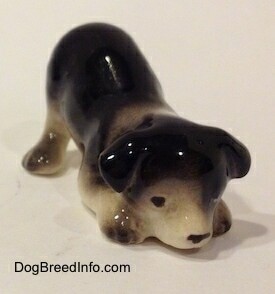 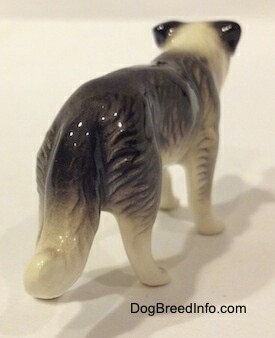 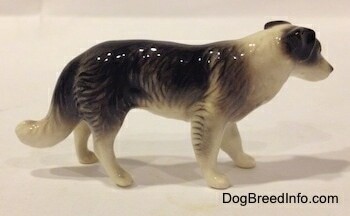 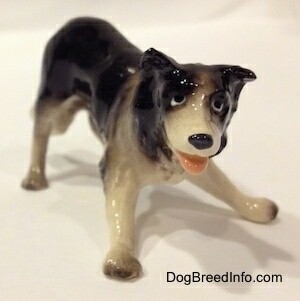 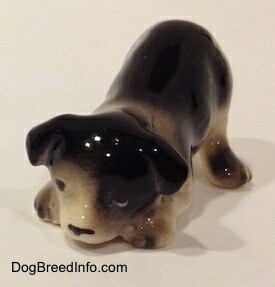 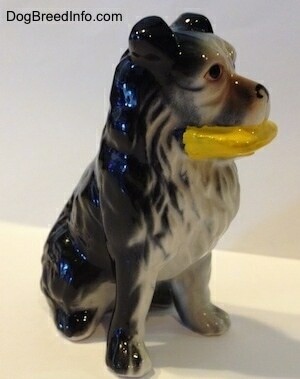 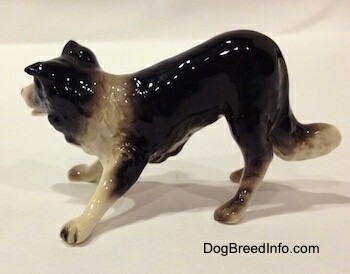 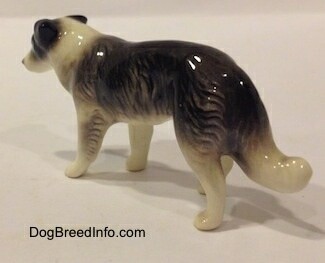 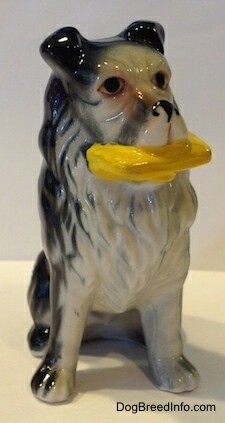 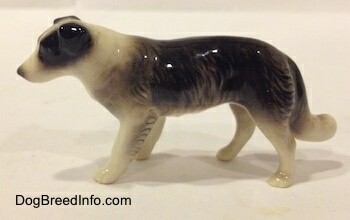 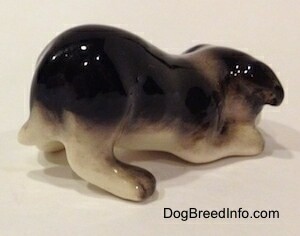 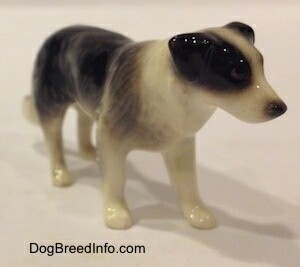 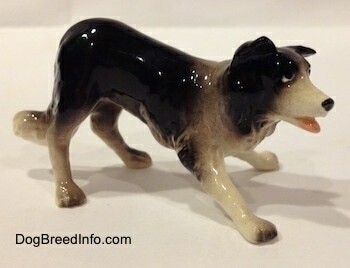 This is a vintage bone china Border Collie figurine. 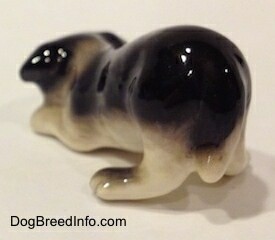 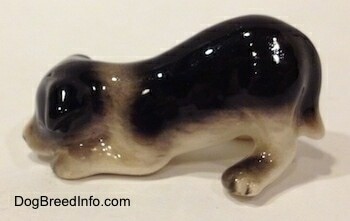 It is 3 1/4 inches high by 2 1/4 inches long. 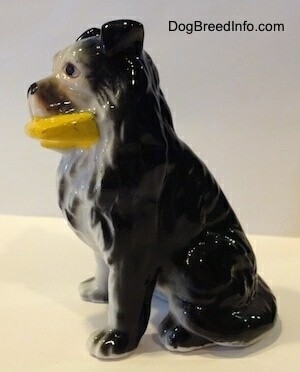 He has a yellow toy in his mouth, which is typical of the breed to be good at catching toys such as Frisbees in the air, although this toy does not look like a Frisbee as it is more on the square side. 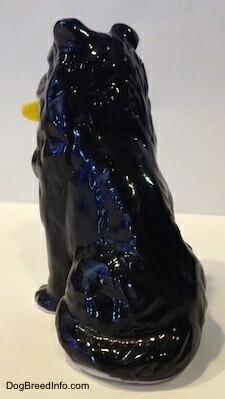 The figurine is in very good shape with no chips, cracks or repairs.